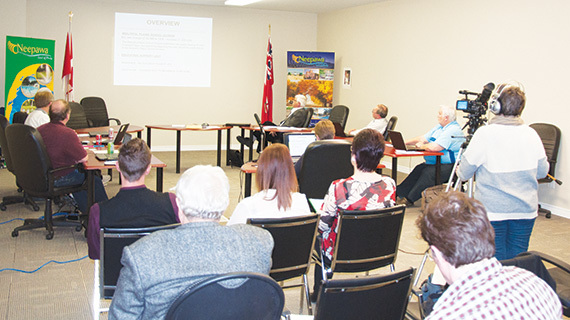 The Town of Neepawa has unveiled its new budget. For 2015, Council has allocated $6,718,130.27 to the general operating fund and $3,078,319.65 to the utility operating fund. The pie sale for Riverdale Harvest was a huge success! Rivers Home Hardware graciously allowed us to set up our sale in their back room as the wind was nasty on Saturday, April 18. In only two hours we were completely sold out. A special thank you to so many of you who donated pies to our sale, to those who made donations and of course, all our pie buyers! In total we raised $505 from this endeavour, which will help us prepare for the lean summer months. Read more: Going, going, gone! In 2012 Grayson Williams of Rivers participated in the Earth Rangers Program and reached his goal of raising $1,000 in three weeks to help protect a bird called the wood thrush. He was the first person to reach this goal and be awarded the title Earth Ranger Ambassador! Earth Rangers is a Canadian kid-based fundraising program with its headquarters in Ontario. As publicly notified, the community of Rivers has been issued a Boiled Water Advisory, effective April 20. The advisory was issued by the Medical Officer of Health, due to the belief that a failure in the treatment process has allowed substandard water to enter the distribution system. The failure in our treatment system that has triggered this course of action is once again, high levels of turbidity.